Polly is getting into the summer spirit with navy stripes today. 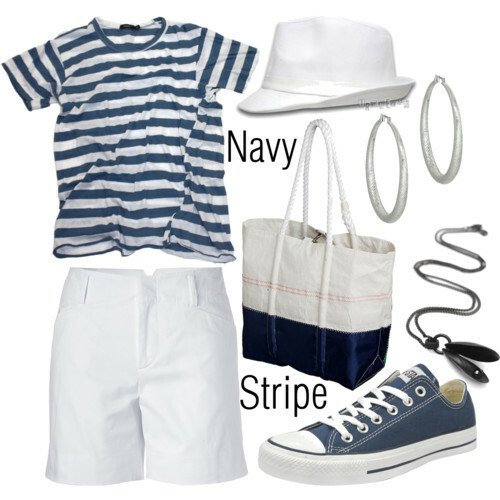 She's decided to rock the navy and white casual look but can go from beach to lunch in an instant. The shirt is very casual but Polly can make it look a bit more dressed up. It's all part of the Polly magic. Change the jewellery and the shoes and you could totally jazz up the simple t-shirt - love! I love nautical outfits. They have always been fashionable and will certainly remain thins way! Oh that hat just is the icing on the cake. This rocks!